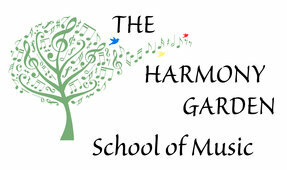 Welcome to The Harmony Garden! To register, please complete the form below and click SUBMIT when finished. Once we've received your registration, we'll be in touch asap. Please note that you will NOT be charged during the registration process, even if you do enter your billing information. We look forward to having you as part of our musical community! I release any and all rights and claims for damages against The Harmony Garden School of Music and its staff in the unlikely event of injury sustained by yourself or your child(ren) during the course of or as a result of this musical activity. If you need to pause or cancel your enrollment, you must submit written notice prior to the 1st of the month to avoid further charges. If notice is received after the 1st of the month, the tuition for the current month will still be charged. The Harmony Garden offers a hassle-free automated payment system. Kindermusik: Upon enrollment, your card on file will be charged a one-time deposit for the current semester. After that, you have the option of paying tuition in monthly installments, automatically charged on the 1st of the month, or for the semester up-front at a discount. Monthly tuition for is automatically and securely charged to your credit/debit card on file on the 1st of each month. A receipt will be immediately emailed to you. Private Lessons: Upon enrollment, your card will be charged a one-time registration fee of $35 per student. Monthly tuition for is automatically and securely charged to your credit/debit card on file on the 1st of each month. A receipt will be immediately emailed to you. Dance Classes: Dance class fees will be charged to your card the day prior to the class.